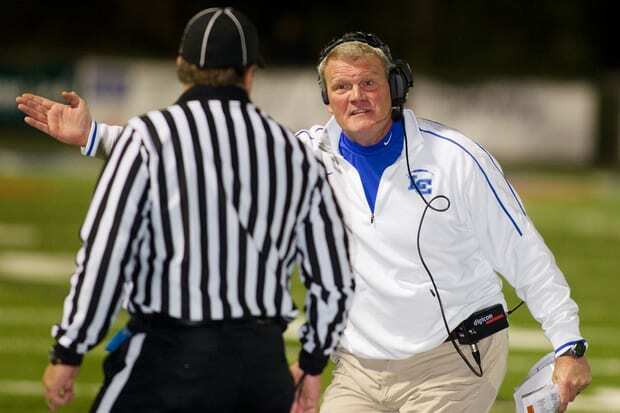 Bill Letton is the latest Lexington Catholic football coach to relocate to Georgia. Letton, who resigned as the Knights’ head coach last December, is the new associate head coach and offensive coordinator at Walton High School in Marietta, Ga. Mo Dixon, a former head coach at Hazard and assistant at Lexington Catholic, is Walton’s head coach. “We’re glad to have Bill, and we’re looking forward to getting that Lexington Catholic connection back together,” Dixon said. Letton joined Bob Sphire’s staff at Lexington Catholic in 2003. After Sphire guided the Knights to a state title in 2005, he left for a coaching job in Georgia, and Letton took over the reins. 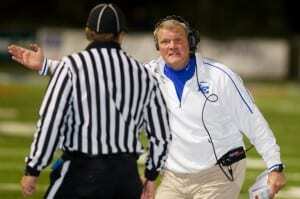 Letton, who led Prestonsburg to a state runner-up finish in 1993, led Lexington Catholic to a state title in 2007. He was 78-30 in eight years with the Knights. Dixon not only added Letton to his staff, he added a Division I prospect to his roster. Sam Letton, Bill’s son, is a 6-foot-3, 215-pound junior tight end who has a scholarship offer from Kentucky. He had 51 catches for 958 yards and 13 touchdowns for Lexington Catholic last season. Bill Letton is the seventh Lexington Catholic-connected coach to move to Georgia.